Rosemary was created by Elaine Carrington, who also penned When a Girl Marries and Pepper Young's Family, starring Burgess Meredith. Rosemary told the story of 20 year old secretary Rosemary Dawson, who works to support her mother and sister. Rosemary falls madly in love with journalist Bill Roberts, and they marry. Of course not all is well in Soapland. Bill, a war veteran, suffers from amnesia. Who knows what will come up from Bill's past. Sure enough, we find out that Bill is previously married and has a little girl. How will this new/old wife affect Bill and Rosemary? Rosemary claims she only wants Bill to be happy, but can she really let him go? And what about Rosemary's many other admirers? Tune in tomorrow for the answers! Rosemary was sponsored by Procter and Gamble for its entire run. 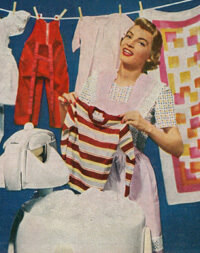 The show was a vehicle for Ivory Snow Dishwashing soap, Camay, as well as Dash and Tide Laundry detergents. 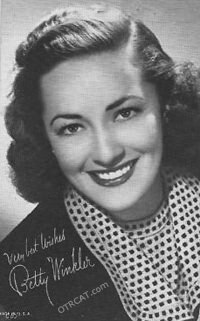 Stars Betty Winkler, (Rosemary,) and George Keane (Bill) met while doing the soap, and were married. When Keane was forced to leave the show due to illness, Winkle chose to leave as well. They would be replaced by Virginia Kaye and Robert Readick. Bill's first wife, Audrey, would be played by the same actress that portrayed Rosemary's younger sister, Jone Allison. This collection is also part of the Rare Soap Operas Collection. Be the first to comment on "Rosemary"